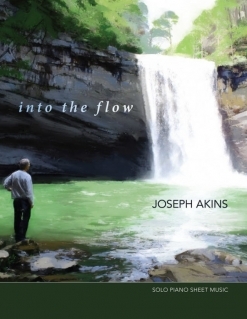 Joseph Akins’ long-awaited solo piano songbook is here, and it’s a beauty! From the elegant cover to the much-appreciated spiral binding to the crisp clean notation, this book is a welcome addition to any piano sheet music collection. 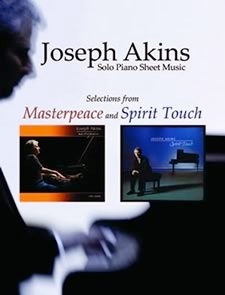 The song titles include five pieces from each of Joseph’s first two solo piano albums, Masterpeace (2007) and Spirit Touch (2009). 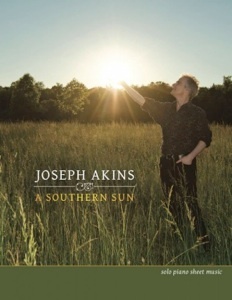 All but one of the pieces were transcribed by Joseph Akins himself, which ensures that the artist is happy with the final versions of his sheet music. These are note-for-note transcriptions, so following the music while listening to the recordings is easy and very helpful. In addition to the pieces, Akins has included four pages of performance notes that include the inspiration behind the music and suggestions for playing the improvised passages - an invaluable tool! Joseph is a very accomplished pianist, so although the pieces are not terribly difficult, some contain some tricky timing and move all over the piano. I would suggest that most of the pieces are early-advanced, although a less-experienced pianist who really wants to learn a piece should be able to do it. The key signatures are not complicated, with three being the most sharps or flats in any piece. The notation is well-spaced and roomy and includes chord charts. Expression is also clearly-marked. 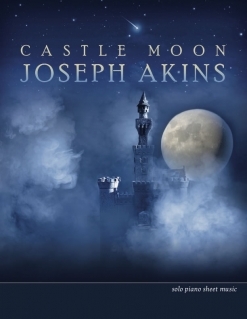 All ten pieces are fun to play, so if you are a pianist who loves Joseph Akins’ music, this book is a must!